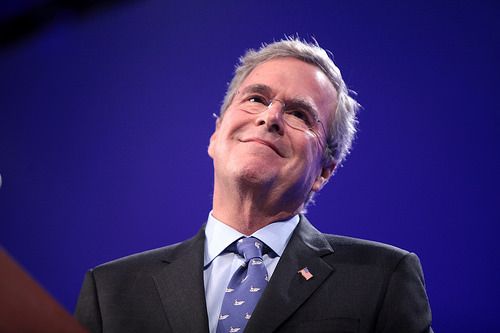 Is the Paleo Diet Taking Jeb Down? 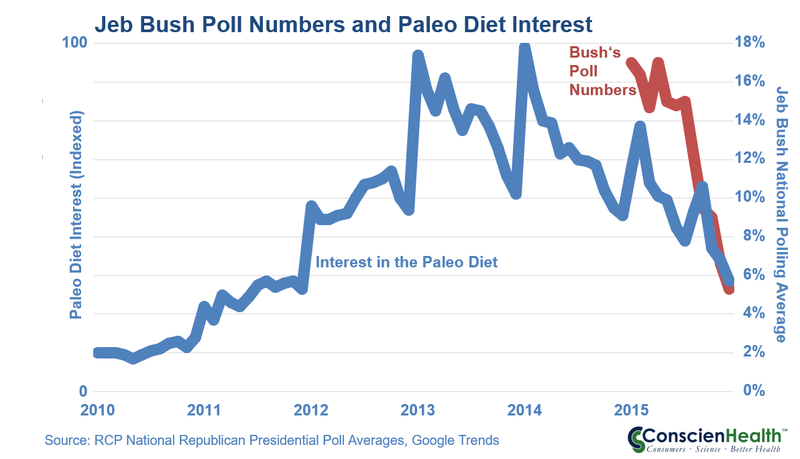 Interest in the Paleo Diet and interest in Jeb Bush’s presidential campaign have been fading on parallel paths. Paleo was the hot ticket in 2012, peaked in 2013, and has been fading since. Bush announced early this year that Paleo is his secret to success for losing more than 40 pounds on the campaign trail. His poll numbers have been fading ever since. The imagined Paleo life is probably hard to endure today. So while the diet may be great for dramatic weight loss in the short term, such as for Bush, keeping the weight off over months or years will probably be even more difficult than surviving a junk-food-lined campaign trail and clinching the presidency. All that press about meat consumption and cancer risk didn’t help either. Now we’re not saying that Paleo is the cause of Bush’s drop in the polls. We’re just pointing out the correlation. You decide. Click here to read more from Vox. You should run the r2, Ted! I bet it is pretty high! Thanks for the inspiration, Joe. Come on. Correlation? Not even close. I am not a proponent of Bush but whatever happened to cause and effect. Does not exist here.